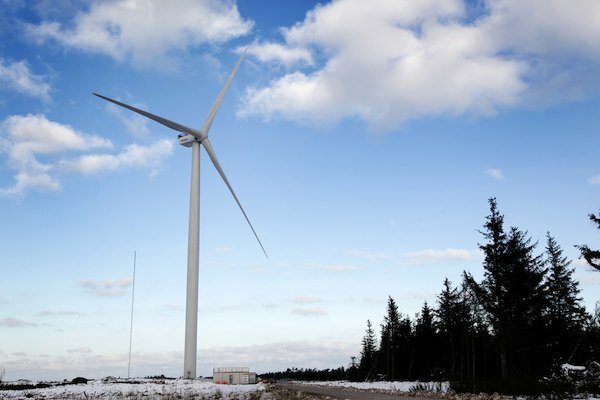 Earlier this week, the world’s biggest and most powerful wind turbine started operating in Denmark. The massive new prototype stands 720 feet or 220 metres tall and each blade is 260 feet or 79.25 metres long. The turbine is designed to be able to generate 8 megawatts of power, which is enough to supply about 7,500 average households in Europe. The Vestas V164-8.0 MW wind turbine is designed to be deployed offshore, but is currently installed at the Danish Test Centre for Large Wind Turbines in Østerild. 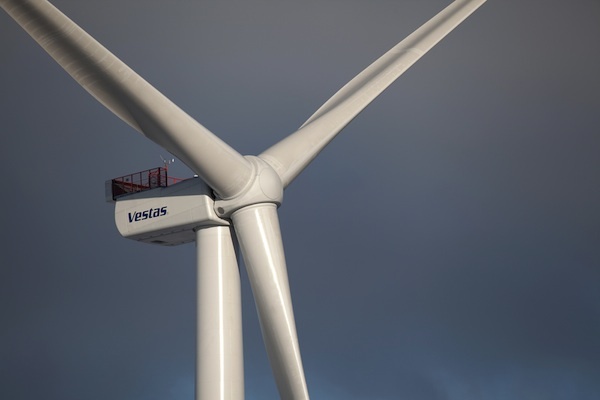 It’s expected to go into commercial production in 2015, and will be the flagship product for an offshore joint venture between Vestas and Mitsubishi Heavy Industries. According to the company, Vestas already has over 50,000 wind turbines deployed in 73 countries, with over 58 gigawatts of cumulative capacity. In Europe just last year, 418 new offshore wind turbines began operating (not only from Vestas), amounting to 1,567 megawatts of capacity. Europe is expected to have about 40 gigawatts of offshore wind capacity by 2020 and 150 gigawatts by 2030, according to the European Offshore Wind Energy Association. Previous post: Free Fuel Coast-To-Coast: Tesla Supercharger Network Now Crosses U.S.